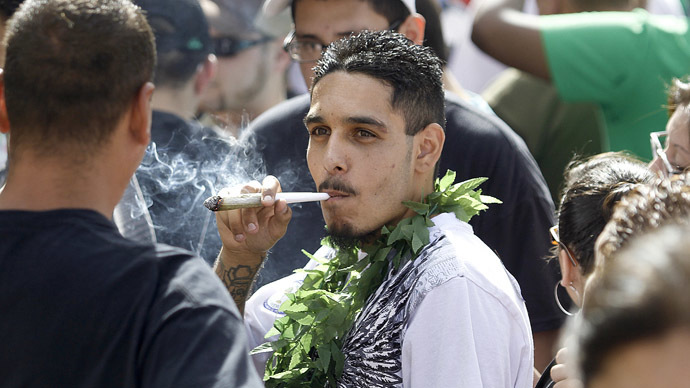 The state of Colorado has survived its first week with legal weed, and the verdict is in: people really like marijuana. Owners of the 37 just-launched dispensaries across Colorado tell the Huffington Post that they’ve already generated a combined total of roughly $5 million in sales since it became legal there on January 1 for adults to purchase and use marijuana for recreational reasons. Some of the larger dispensaries unloaded as much as 60 pounds of pot each from their shelves during that first week, HuffPo’s Matt Ferner reported on Wednesday, and combined sales on the first of the year alone totaled over $1 million. 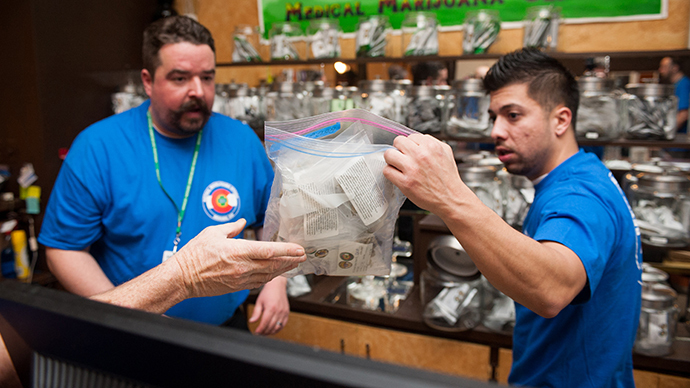 "Every day that we've been in business since Jan. 1 has been better than my best day of business ever," Andy Williams, owner of Denver's Medicine Man dispensary, told the website. Voters in Colorado approved a measure legalizing medicinal marijuana back in 2000, and dispensaries across the state had until just recently been barred from selling to those without a doctor’s prescription. Denver’s 3D Cannabis Center told the Colorado Springs Gazette that they averaged 25 clients a day in medical marijuana sales before the state’s new law went into effect, but on Jan. 1 they served around 450 customers and before long were forced to close down in order to restock. 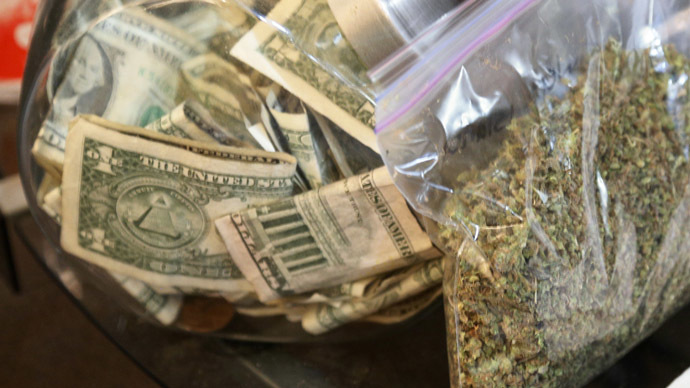 If sales continue at the current rate, the state could see $260 million made by marijuana by the end of the year. Some experts, however, have already said that they think annual sales could even double that. The Gazette reported earlier this month that they think the new weed industry could generate $400 million in sales by the end of the year, and Bloomberg News suggested that statistic could climb to $578.1 million a year between wholesale and retail sales. "People think we all became millionaires," Denver Kush Club dispensary co-owner Joaquin Ortega added to Ferner’s report. 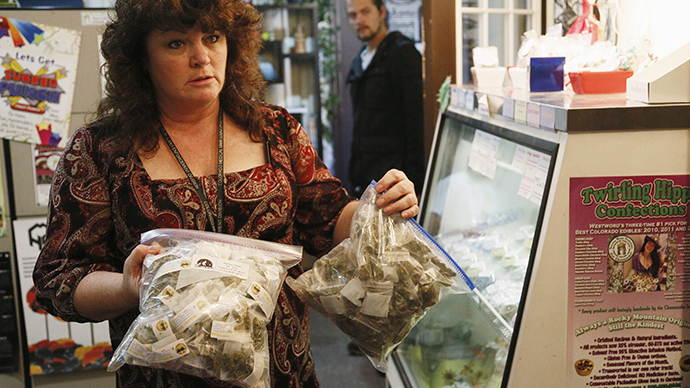 But with federal officials still shunning weed as an illegal narcotic, homegrown businesses like the Medicine Man or Kush Club could be waiting awhile before they begin to see serious profits. Ortega told HuffPo that he doesn’t qualify for the traditional businesses tax write-offs he would have been eligible for if he built from scratch a store that’s more federal-friendly, and many banks and credit card companies say they don’t want to work with dispensaries at all. On Monday, members of the Denver City Council voted unanimously for a proclamation urging “swift federal action” to allow dispensaries to do business with banks and other financial institutions. 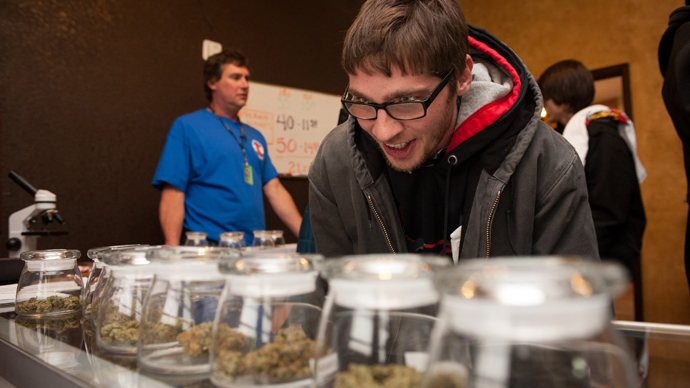 Meanwhile, the state isn’t seeing too big of a problem just yet with pot sales: legal marijuana is both heavily regulated and taxed, and by Bloomberg’s estimate will earn Colorado nearly $70 million in excises this year alone.